Geneseo, NY is the county seat of Livingston County, and it is where both the recently renovated County Courthouse as well as the newly constructed County Jail are located. Jeannie D. Michalski’s private law office is about 15 minutes away from the Courthouse, and Jeannie Michalski come to Geneseo to make court appearances at least once per week. We also make regular appearances in the Village and Town Courts of Geneseo, which are located in a different building on Main Street, just up the hill from SUNY Geneseo. We genuinely love practicing law in Livingston County. The county is big enough to support our thriving law practice, it is old enough to have deep roots and connections to pre-Civil War America, and it is kept vital by both the College at SUNY Geneseo and the amazing summer activities that take place in the towns and on Conesus Lake. In addition to Conesus Lake, it has incredible natural attractions such as the Genesee Valley and the gorge and waterfalls at Letchworth State Park. One reason we enjoy Geneseo in particular is that the legal community is relatively small and very close-knit. Geneseo’s population is less than 10,000. Jeannie Michalski was the 2012-2013 Livingston County Bar Association President. There are about a dozen attorneys with offices on Main Street, and we know them all. The county courthouse staff is relatively small, and we feel very lucky to know each and every one of the clerks, deputies, stenographers, attorneys, and judges. Geneseo is not only the Livingston County seat, but it is also a college town. The population grows to about 15,000 when SUNY Geneseo is in session. 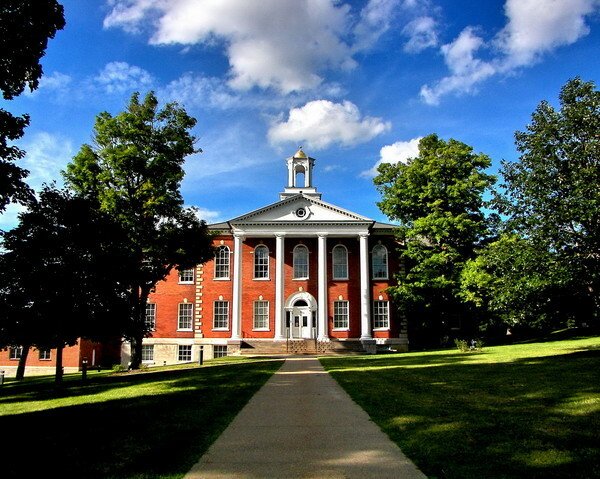 The College was founded in 1871, shortly after the Civil War ended. It has long been regarded as a jewel within the SUNY system. It regularly places at the top of lists compiled by U.S. news and World Report, and it is on the Princeton Review’s 2014 list of best colleges. SUNY schools across the state have become more competitive as parents and students realize the value of the education that is offered at a fraction of the cost of a private college, but SUNY Geneseo still stands out as the “SUNY Ivy.” Nevertheless, even the best college students are still college students, and mistakes in judgment are sometimes made. We represent SUNY Geneseo students regularly on minor marijuana and fake ID charges, but we also represent students on more serious charges such as DWI and higher-level drug crimes. It isn’t only students who need legal help, and attorney Jeannie Michalski regularly appear in Geneseo at the Livingston County Family Court, as well as the Livingston County Court’s Criminal Part. We have both worked dozens and dozens of cases through settlement or trial, and we are proud of the results we have produced for our clients. Residents from across Livingston, Monroe, Genesee, and Ontario Counties come to us to help resolve matrimonial, custody, visitation, and support issues that they cannot fix on their own. Clients from across the country and beyond retain us to represent them in criminal matters. If you have a matter pending in one of the courts in or around Geneseo, NY, call the attorneys at Jeannie D. Michalski at (585) 351-2500.